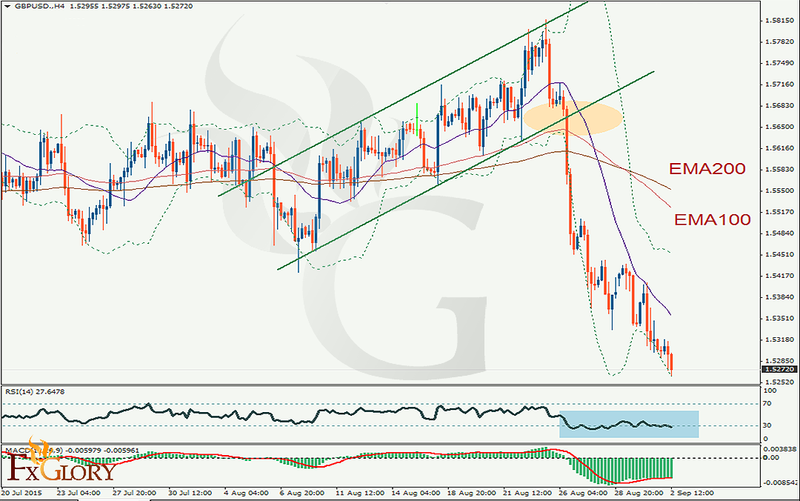 The GBPUSD has probed lower in trading today – moving below the low prices from July and August in the process. According to the economic news,UK construction companies remained in recovery fazze during August, with business activity and employment levels both becoming stronger, growing however, slower than expected as the UK Construction PMI for August resulted at 57.3 against expectations of 57.5 and previous 57.1. Intraday bias in GBP/USD remains on the downside for the moment. Fall from 1.5930 should target 100% projection of 1.5930 to 1.5330 from 1.5819 at 1.5219. The whole rebound from 145.65 should have finished at 1.5929 too. Break of 1.5217 will pave the way to 161.8% projection at 1.4846. On the upside, above 1.5442 minor resistance will turn bias neutral first, but the risk will stay on the downside as long as 1.5817 resistance holds. A more bullish number and new lows can be expected. If weaker, the sellers will likely become buyers again and we should see a rotation higher in the pair.